The Yulin dog meat festival WILL end – when we end ALL dog meat eating. To make that a reality the international spotlight must linger longer than one week in June. 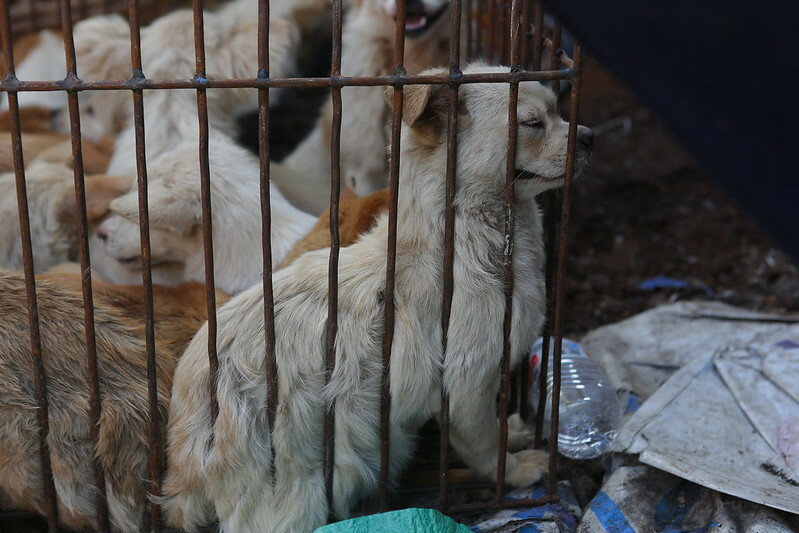 This year, for the second time, more than a hundred Chinese animal charities put their names to a letter begging animal rescuers to stop buying dogs from traders at Yulin during the summer solstice. Their reasoning is clear: buying dogs pushes up prices and profits for traders and it’s difficult to track dogs after the event when media interest moves on. In addition, without proper planning, bought dogs can end up suffering for longer while vital funds are wasted or misappropriated. Last year’s letter proved prophetic as subsequent newspaper reports confirmed many of these fears. This has serious consequences as any illegal or anti-social behaviour on the part of animal welfare campaigners can have a hugely negative effect on public opinion and risks undermining the wider campaign to end dog and cat meat eating. Meanwhile, this year’s rumoured ban on dog meat sales in the lead up to the summer solstice has proven to be false. On the day the ban was rumoured to come into effect, the authorities told media that as the event is not officially sanctioned by the government – or any other organisation – they have no ability to stop it. They stressed that dog meat eating is not illegal in China, so on what grounds could they ban sales for one week of the year in one locality? People in Yulin eat dog meat all year round. 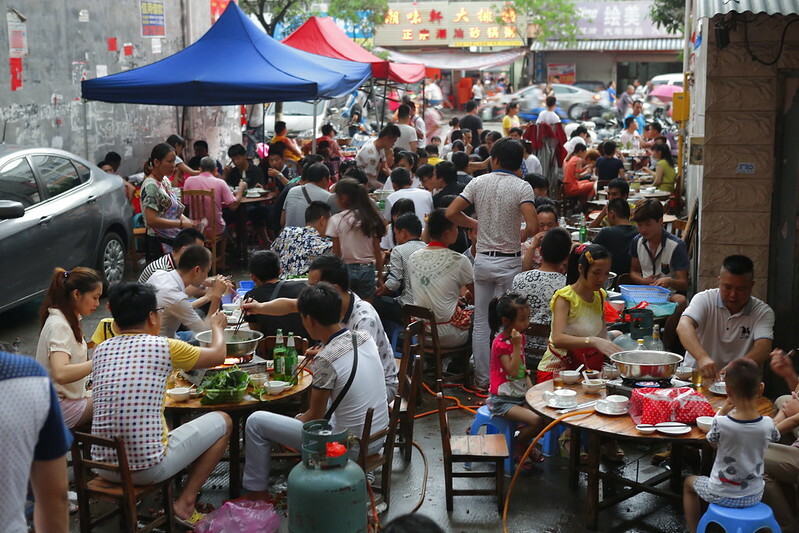 Ahead of the festival we returned to Yulin and spoke to its people as well as observing the industry during a “normal” period. Some voiced opposition to the festival – others spoke out in defiance – but still dogs were slaughtered and sold, just like any other day in any other city. There has been vital work done to shrink the festival from a reported 10,000 dogs slaughtered to 1,000. Key strategic lobbying has also seen local authorities back away from the event, but it unofficially continues as friends come together to eat lychee fruit and dog meat in the sunshine. To overplay the focus on Yulin now – as wider China increasingly shows its contempt for dog meat eating – is, I believe, an error. To continue to make it the annual focus of the wider campaign to end dog meat eating risks playing into the hands of the cruel and criminal. It also risks undermining and damaging a much wider campaign. We must remind the world and its media that this cruelty happens all year round. This is why we have no Yulin-specific campaign this year. It is why we are not officially represented within Yulin. Our dedicated team will be elsewhere in the country, working hard to end cruelty to cats and dogs in China – just as we do all year round. 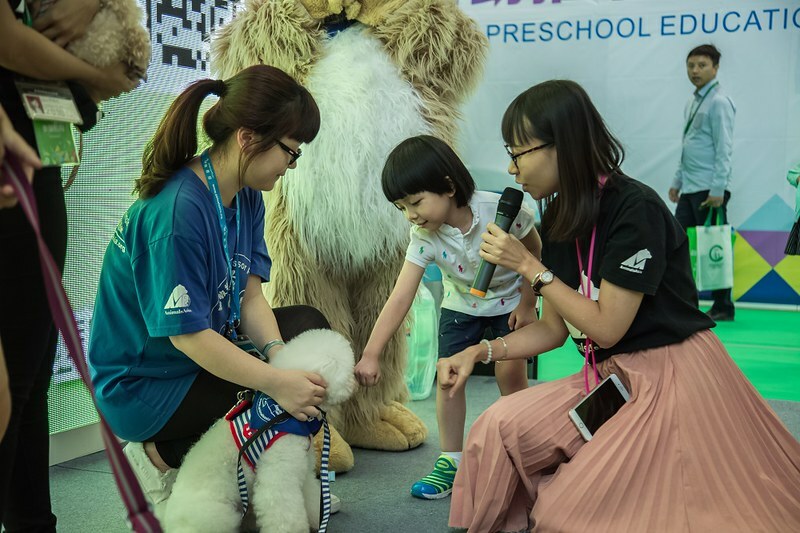 In spring this year we met again with 150 representatives from animal protection groups, shelters and charities from 50 cities across China. 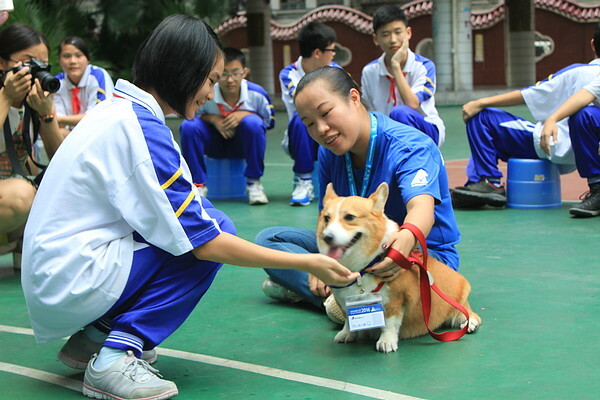 These are the Chinese heroes who work daily to provide better lives for dogs and cats. They work within their own communities to advocate for animals. Many have been involved in dog rescues – not just the high-profile seizing of animals, but the difficult and emotion-sapping work that continues for months and years afterwards, providing care, finding homes and securing funding. These are the people who have become concerned at what the campaign to end the Yulin festival has become. This is how Animals Asia operates in China year-round to end the dog meat trade – working with China, not against it. We have been working consistently and holistically for 19 years and we truly believe this is the only way to end the industry for good. Our Professor Paws and Doctor Dog programmes have convinced well over half a million people that dogs can be friends not food. By meeting canine companions close up, ordinary people – often taught to fear dogs from a very young age – have learned what a positive, unthreatening and unconditionally loving effect dogs can have in our lives. These people continue to spread the word to their families, to their friends, to their communities – where respecting dogs means not eating dogs. We highlight to the Chinese authorities the increased risk of rabies as dogs are transported illegally across the country, and have successfully lobbied government to start responsible companion animal ownership programmes. We cooperate with local groups to practice humane stray population control, and have helped local communities implement Trap, Neuter, Return programmes for cats, to reduce cruelty and conflict. We have funded and mentored over 100 local animal welfare groups around the country – giving them the skills they need to save animal lives, the vital funding to improve their shelters, and helping them realise their dreams for a better future for their country’s animals. We have used existing health and safety laws to help the authorities close down more than 100 dog meat restaurants, permanently – saving many thousands of lives. This is holistic, long-term, saving lives – and making a difference. Make no mistake, the dog meat trade is hated in China. Its cruelty and criminality breaks hearts and provokes outrage and even vigilantism across this massive country. China will not stand for it much longer – and with your help, we can end it.